As the world’s leading airline with a $10 billion platform and one of the largest B2C websites in the world, the redesign of United’s digital ecosystem presented a significant design challenge. The factorials related to United’s booking experience — traveler classifications, loyalty rewards, route options, etc. — are complex. 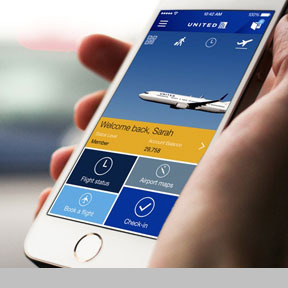 IA Collaborative has redesigned United.com’s entire digital ecosystem—from new design language, to an updated booking experience to the top-rated United app.